A working mum has rekindled her passion for finance after 12 years working as a teaching assistant. Tracey Barnes spent 18 years working for Barclays before she took up a school role to accommodate family life. Now she has returned to her roots as business manager for Newton Aycliffe corporate finance firm Commercial Expert. Tracey began her banking career with Barclays in Aycliffe and also worked in the firm’s Darlington and Barnard Castle branches as well as its corporate centre on Teesside. She then took up a teaching assistant’s role at West Park School in Darlington and later Staindrop Primary School. Now her children have grown up, Tracey is relishing being back in the office after taking the leap back into business. “It was a massive decision – the day I handed my notice in was a big day,” admitted Tracey, from Darlington. Commercial Expert offers a comprehensive range of business finance to a broad spectrum of clients, each with differing financial requirements. Services include business loans, property investment finance, and development finance, bridging finance and crowdfunding loans. The company’s expert advice has been invaluable to hundreds of satisfied clients, while Commercial Expert is proud to be directly authorised by the Financial Conduct Authority (FCA) and provides regulated commercial financial advice. Tracey added: “I’ve been employed so the business can continue to grow organically by increasing its customer base in the North-East. Commercial Expert managing director Mike Coates formed the company in 2008 after he diversified from residential mortgage and insurance advice. Originally based in Darlington, the firm relocated to Aycliffe in 2012 to facilitate growth before expanding to larger offices again two years ago, taking on two new employees. In 2016 the company was announced as the first official intermediary for the Business Banking team at the UK’s only digital bank, Atom Bank, based in Durham. 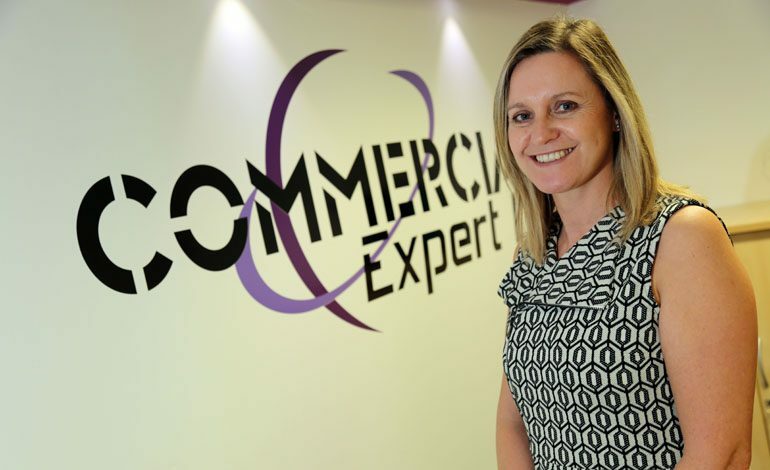 Commercial Expert added two more staff to its team a year ago, and the firm now manages more than £48m-worth of deals a year for clients nationwide. Mike said: “We’re continuing to see growth in our business and we’ve enjoyed another really strong 12 months.